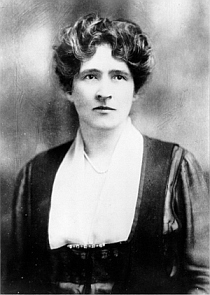 Leader of women's suffrage movement and supporter of women's higher education. One of first women to serve as trustee of Rutgers University, also bequeathed over $1 million to establish what became Eagleton Institute of Politics at Rutgers. Born in Newark , father a shoe dealer. Served as trustee of Newark Museum, vice president of Travelers Aid Society, and life member of New Jersey Historical Society. After first marriage ended in divorce, married in 1913 Wells Phillips Eagleton (1865-1946), a prominent surgeon who served as president of New Jersey Medical Society and Academy of Medicine of New Jersey, also authored leading medical treatises. Born in Philadelphia, family moved to Pleasantville in 1877. Hired in 1890 at age 14 at Atlantic Review, then Atlantic City's only newspaper in entry-level job as messenger and copy boy at an Atlantic City printing office, then worked for advertising agency, when owner died widow sold business for $500 to him, financed by loan from hotel owner who admired his work. Commenced publishing newspaper which later became Press of Atlantic City. Advertising agency obtained contracts to establish foreign offices to encourage tourism to US. During Spanish-American War, he served as second lieutenant in New Jersey Volunteer Infantry, also served in New Jersey National Guard as captain and later as chief of Ordinance Department. Obtained appointment as journal clerk of state Senate, in 1897; secretary of Senate 1901-1904. In 1904, defeated in run for state Senate running against candidate of powerful Atlantic County Republican machine headed by boss Enoch "Nucky" Johnson, subsequent political career ran with organization's support, including 1909 election to Assembly and 1910 election to first of two terms in Senate, served as Senate president in 1915. Elected 1916 as governor on slogan "A Businessman with a Business Plan," aided by split in Democratic vote over internal party feud. During three-year term, aggressively worked to support President Wilson's mobilization efforts for World War I, including acquisition of land and construction of roads and other infrastructure for newly-established Camp Dix military base. Other measures included commencement of Hudson Tunnel and Benjamin Franklin Bridge to Philadelphia; consolidation of state agencies; strengthening of governor's management authority; and enactment of workers' compensation and corrupt practices legislation. Elected November 1918 to US Senate, resigned as governor in May 1919, served for ten years in Senate until appointed by President Hoover as ambassador to France in 1929, a post held until 1933. In 1919, also sold newspaper interests to three employees. Over two decades since resigning as governor, again elected to another term in 1943 during World War II, campaign focused on corruption of Hudson Democratic boss Frank Hague and need for government reform. As governor, advocated adoption of new state constitution, but ratification was defeated in 1944 referendum by voters after Hague organized opposition, but revised proposal later ratified in November 1947 shortly after Edge left office. During term, state civil service restructured; anti-discrimination laws approved; and department of economic development established to plan for post-war conversion of wartime industries and support for returning soldiers. In 1944, purchased Morven, historic colonial home in Princeton first built by Richard Stockton, transferred to state government in 1954 for use as official governor's residence during Meyner, Hughes, Cahill and Byrne administrations until official residence relocated in 1982 to nearby mansion of Drumthwacket. 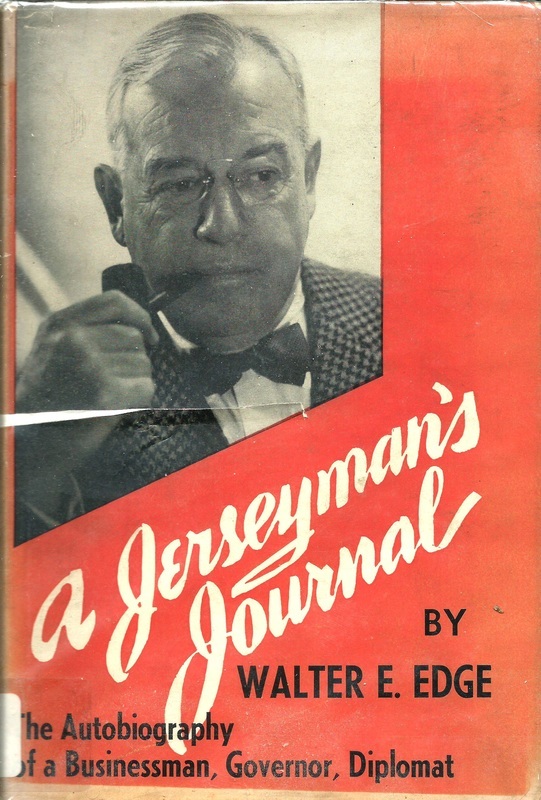 After completing term, in 1948 published autobiography, A Jerseyman's Journal, returned to publishing interests, continued to serve as delegate to Republican National Conventions until death at age 84. One of world's most prominent inventors, including first commercially practical incandescent bulb, phonograph, motion picture camera, mimeograph machine, storage battery, large-scale electric power utility, mechanical voting recorder, stock ticker. Awarded 1,093 US patents, many others in foreign countries. Named “Man of the Millennium” by Time Magazine. Born in Ohio, family later moved to Michigan. Mostly home-schooled after age 12 by mother. After working in Boston as telegraph operator, relocated to New York, hired at Western Union office on Wall Street after quickly repairing broken stock ticker, later paid $40,000 by Western Union for improvements related to ticker, used funds to buy empty factory building in Newark to set up first workshop. Early projects included commission from Western Union to improve telephone invented by Alexander Graham Bell, also began to experiment on recording sounds. To expand space, purchased 34 acres in Menlo Park, then part of Raritan Township and now in Edison Township (renamed in honor of Edison through 1954 referendum of residents), relocated business in 1876 to establish world’s first research and development facility. Introduced phonograph 1877, gained wide attention, first described as "Wizard of Menlo Park." In 1882, demonstrated in New York City use of central generator station to power street lights, foundation of public utility bulk power distribution systems. 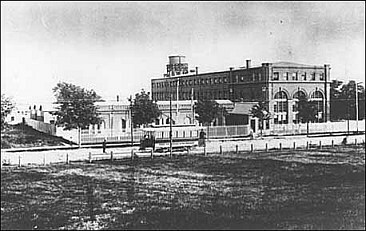 To relocate closer to New York and again enlarge laboratory, in 1887 moved out of Menlo Park into new, much larger laboratories in West Orange. Also purchased nearby home he named Glenmont, in Llewellyn Park, nation's first planned residential community of upscale homes. Close friends with Henry Ford and rubber magnate Harvey Firestone, collaborated on project to develop synthetic rubber, including cultivation of goldenrod plants in West Orange. Died at age of 84, buried next to wife at Glenmont. Son Charles Edison named as president of father's company 1927, appointed by President Franklin Roosevelt as US Secretary of Navy 1940, elected in November of that year as Democratic governor of New Jersey, completed term in January 1944. Most important scientist of twentieth century, named “Person of the Century” by Time Magazine in 1999. Best known for Theory of Relativity, awarded 1921 Nobel Prize for Physics, also advised President Franklin D. Roosevelt of research which led to Manhattan Project and development of atomic bomb dropped on Japan to end World War II. Emigrated from Germany to New Jersey in 1933, joining Institute for Advanced Study in Princeton established by wealthy retailer Felix Bamberger and sister Caroline Bamberger Fuld as haven for Jewish scientists fleeing Nazis. Worked at Institute and resided in Princeton for 22 years until death in Princeton Hospital from aneurysm in 1955. As a child in Germany, took music lessons, playing both violin and piano, but did not excel in school work. Family moved first to Italy and then to Switzerland, graduated from high-school in 1896. In 1905, while working as a patent clerk in Bern, Switzerland, obtained doctorate degree in physics and published influential research papers. 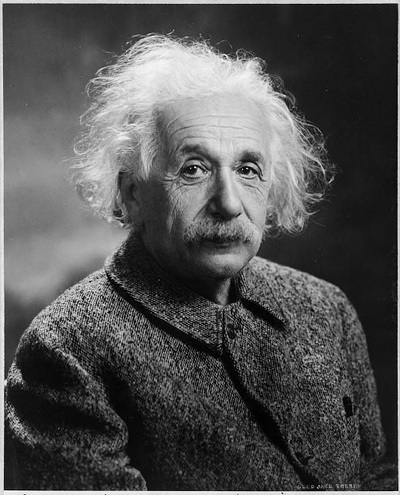 In 1915, completed General Theory of Relativity and awarded in 1921 Nobel Prize in Physics, among many later awards Copley Medal of Royal Society in 1925 and Franklin Medal of Franklin Institute in 1935. Accepted series of teaching positions, including as director of Kaiser Wilhelm Institute for Physics as University of Berlin from 1913 to 1933 before coming to New Jersey when Nazis barred Jews from holding high academic positions. 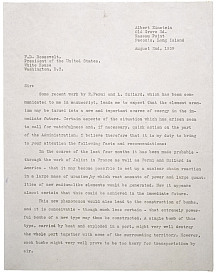 In summer 1939, after being contacted by another physicist, Leo Szilard, wrote letter to President Roosevelt to alert him of research relating to nuclear energy and possibility of developing an atomic bomb. Born in Englewood, father B.C Forbes a Scottish immigrant. Graduate of the Lawrenceville School and Princeton University in 1941. Wounded in World War II during service in Europe as machine gun sergeant. Chairman, publisher and editor-in-chief of Forbes Magazine founded by his father, which grew through 1990s to become extremely successful business magazine, also expanded into real estate, conferences and other ventures. Longtime resident of Far Hills, elected as Republican in New Jersey Senate 1951-57 and ran for governor in 1957 on "no income tax" pledge, lost to Democrat Robert Meyner. Known for lavish lifestyle, celebrity parties at estate and on family yacht often featured guests such as Elizabeth Taylor, Barbara Walters, Henry Kissinger, Walter Cronkite. Flew nearly 1,000 guests to Tangier, Morocco, for 70th birthday party at a cost of $2 million. Hobbies included collection of Faberge eggs, vintage toys, historic manuscripts, also enthusiast of motorcycles, hot air ballooning. Formerly owned New Jersey weekly newspaper chain, sold to Raymond Bateman, Senate president and 1977 gubernatorial nominee who worked for Forbes as legislative aide and for newspaper business. Married for 39 years until divorce in 1985, but following death in 1990 several reports of alleged frequent homosexual relationships. Son Malcolm "Steve" Forbes, Jr., inherited control of magazine, ran unsuccessfully in 1996 and 2000 for GOP presidential nomination. Business suffered with decline of print publications, high level of expenses and internal family conflicts, family sold 40% of company to outside investors. Last of New Jersey's royal governors, served from 1762 until arrest by revolutionaries in 1776. Illegitimate son of Benjamin Franklin with unknown mother, raised by Franklin at Philadelphia home with common law wife, Deborah Read Franklin, and other children. Close relations with father as youth, assisted his electrical experiments in 1750s,worked with him on various civic projects in Philadelphia, also wrote scathing pamphlets against father's political opponents under pseudonym Humphrey Scourge. Also worked with father during French and Indian War commencing in 1756 organizing colony's defenses and erecting a series of forts. In 1762, father used influence gained with British government while representing Pennsylvania colony in London to secure son's appointment as governor. Viewed as effective governor in 1760s, but in next decade William allied himself with crown against colonial complaints, relationship with father deteriorated as tensions increased. In January 1776, message from Franklin to British intelligence intercepted by rebels, who briefly placed him in custody. Declared "an enemy to the liberties of this country" by Continental Congress in June 1776, again arrested and sent under guard to Connecticut and ultimately imprisoned, exchanged October 1778 for American prisoner and released in British-occupied New York City. Attempted to aid British military operations from New York, helped found Board of Associated Loyalists and organized Loyalist resistance activities on Long Island and northern New Jersey. After war's end, left for England in September 1782, worked in London as agent representing claims of Loyalists seeking payment for property seized during war. In final years in England, unsuccessfully attempted to restore relationships with father, meeting with him once in London, and with own illegitimate son, William Temple Franklin, who had become close to grandfather and accompanied him on diplomatic assignments in Europe. Father's will left him land in Nova Scotia of little value and forgave debts, but stated, "The part he acted against me in the late war, which is of public notoriety, will account for my leaving him no more of an estate he endeavoured to deprive me of." 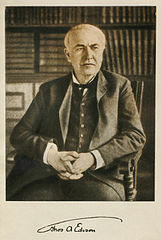 Member of one of state's most prominent families, first established in New Jersey when Theodorus Frelinghuysen emigrated in 1720 from Germany to Raritan as a Dutch Reformed minister during period of religious fervor known as Great Awakening, descendants include current Republican Congressman Peter Frelinghuysen. Graduated from College of New Jersey (now Princeton) in 1804; studied law under his brother John Frelinghuysen, and later, Richard Stockton; admitted to bar as attorney in 1808 and as counselor in 1811. Opened law practice in Newark, but then served as captain of company of volunteers during War of 1812. Named New Jersey Attorney General in 1817, turned down appointment to state supreme court, elected US Senator by legislature in 1829, served until 1835. 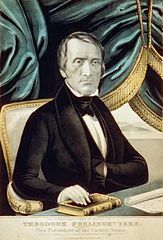 As Senator, led unsuccessful opposition to President Andrew Jackson's Indian Removal Act of 1830, also opposed slavery and alcohol sales. Mayor of Newark 1837-1838 and second president of New York University 1839-1850. At 1844 national convention of Whig Party, selected as nominee for vice president on ticket headed by Henry Clay. In 1850, appointed president of Rutgers College, which great grandfather Theodorus Frelinghuysen had helped found as school for Dutch Reformed clergy, served until death in 1862, buried in cemetery of First Reformed Church in New Brunswick. Frelinghuysen Township in Warren County; Frelinghuysen Avenue in Newark; and Frelinghuysen residence hall and Frelinghuysen Road at Rutgers named after him. Famed tennis player, won 56 singles and doubles titles during amateur career in 1950s before becoming a professional. Won 11 major titles in late 1950s, including singles at French Open. 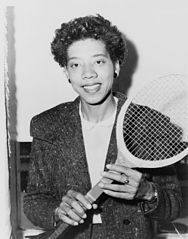 In 1957, first African American to be voted by Associated Press as its Female Athlete of the Year, received honor again in 1958 when for second consecutive year she won both Wimbledon and US Nationals (later renamed US Open). Born in South Carolina, grew up in Harlem. After retiring as player, named New Jersey State Commissioner of Athletics in 1975 by Governor Byrne, held post for 10 years, then served on State’s Athletics Control Board until 1988 and Governor’s Council on Physical Fitness until 1992. Died at age of 76 in East Orange General Hospital. Architect of postmodernist buildings, also known for over 2,500 consumer product designs, including teapot, clock, tableware. Native of Indianapolis, educated at University of Cincinnati and Harvard University, also studied at American Academy in Rome for two years. Joined Princeton University faculty 1962, continued for 39-year teaching career, also established architecture office and home in Princeton. Early projects included design of Newark Museum expansion, most known for Walt Disney corporate headquarters in Burbank, California; Portland Building; Denver Public Library; Humana Building in Louisville; Princeton University Wu and Wilcox Halls; and Indianapolis Art Center. 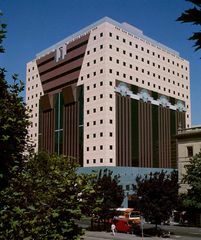 Awards included 1999 National Medal of Arts; 2001 Gold Medal from American Institute of Architects. Contracted spinal infection while on foreign trip in 2003 which paralyzed him from waist down, later worked to improve design of wheelchairs, canes, patient room furniture for disabled until death in March 2015 at age 80 in Princeton. 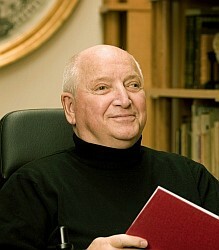 * Michael Graves Interviews (videos), David Basulto, November 2010, ArchDaily .